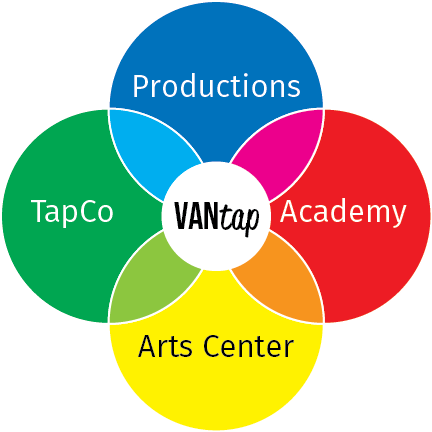 The Vancouver Tap Dance Society is governed by its mission, vision and mandate, and cultural values. These three pillars frame the society’s work, and help guide our journey. Dance Academy: The Academy provides dance classes for dancers of all ages, levels, and body types throughout the year at various levels of engagement. Vancouver International Tap Dance Festival: our annual festival dedicated to spreading the joy of tap dance and providing dancers with a once-in-a-lifetime opportunity to learn from many internationally-renowned guest artists, and presenting audiences with premiere performances. TapCo: The Society’s elite youth performance ensemble. TapCo carries repertoire ranging from classic to contemporary pieces, and tours British Columbia schools with an educational show about tap dance. Outreach Program: Leveraging the faculty of and students trained by the Academy, the Society’s Outreach Program provides classes to hundreds of children each year by partnering with local schools. VanTap has been a place people have come to find a supportive and educational environment. This is especially true for students of the VanTap Academy who have sometimes been hurt by unhealthy competitive environments in other spaces. 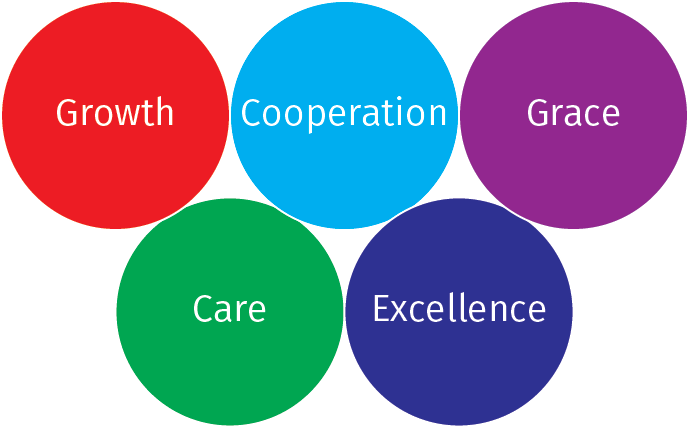 The Society at large has adopted the following cultural values as a way to articulate and promote the kind of environment we would like to see flourish. Growth – One way to define a community is the gathering of a group dedicated to growing together. Growth is also the natural goal of learning. We work to engender growth throughout our organization, from the classroom to the stage, from the faculty to the board room. This value binds us in the never-ending journey towards whatever lay ahead. Care – Organizations have a tendency to dehumanize, particularly as they grow. People become numbers, personal stories become marketing tools, and the organization that once served people begins to serve itself. That is unless the people who make up the organization continue to care for each other. Care speaks to support through the offering of time and resources, the willingness to listen, and to engage individually with everyone. Care also fuels the pursuit of solutions for the problems the organization and the people it serves face. We work because we care. We grow because we work. Cooperation – Tap dance in particular has a stereotype as a solo art form. Communities tend to celebrate the individual voice, more than the group. This is a general cultural trend as well, with celebrity culture, but it is ultimately unhealthy. Tap dance actually derived from a communal practice of music making, singing, and dancing. While individual voices should be celebrated, they should be remembered as singular examples of an entire community. Cooperation is the ethic that binds communities like VanTap’s together. We engage to enable one another’s pursuits. We empower each other to achieve goals. We connect with each other and the community around us to forge bonds of friendship. Many hands make the work light. Excellence – Excellence speaks to the high level of what we aim to accomplish. We pursue excellence in all our programming, in our communications, and in our operations as a not-for-profit organization. In pursuing excellence ourselves, we trust that those we engage with will experience it and be inspired to pursue it as well. Grace – The pursuit of excellence is fraught with challenges. There will always be failures along the way. Some will be big, while others will be small. They all bear a sting. Grace is the ethic that allows us to continue the journey towards excellence, because of growth, fueled by care, and with cooperation. Without grace any failure would signal the end of the journey. We value grace as the mechanism that keeps us going.